I've heard people rave about the Côte d'Azur before; heard about all the celebrities who escape to the French Riviera each year. But I didn't really expect it to be a place that I could connect with. I'm not a ridiculously rich celebrity, after all. 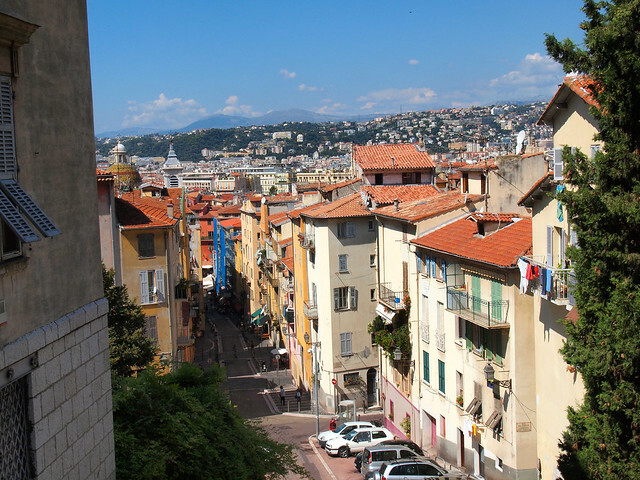 But as soon as I arrived in Nice, France, I realized that my preconceived notions about the French Riviera were all wrong. It WAS a place I could connect with; a place I could enjoy; even a place that I could afford (well, mostly). It just goes to show that you can't listen to things other people tell you about destinations. I've heard some people rave about Nice, while others have absolutely hated it. 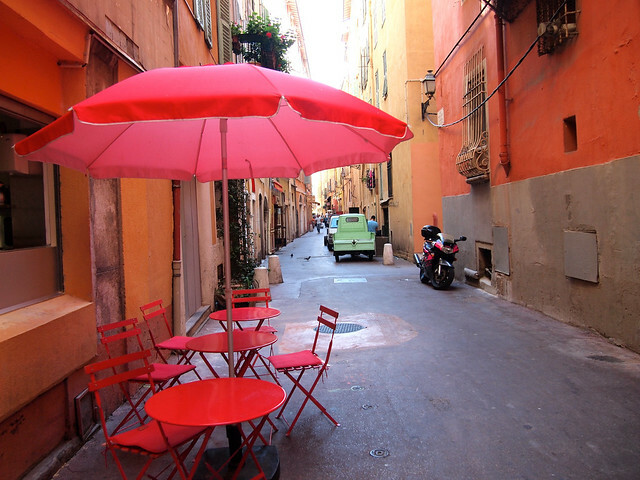 Nice IS expensive, but it's also colorful and interesting and has some truly beautiful parts. I'm glad I went and experienced for myself — because I otherwise never would have realized that the French Riviera is someplace I would like to see more of. 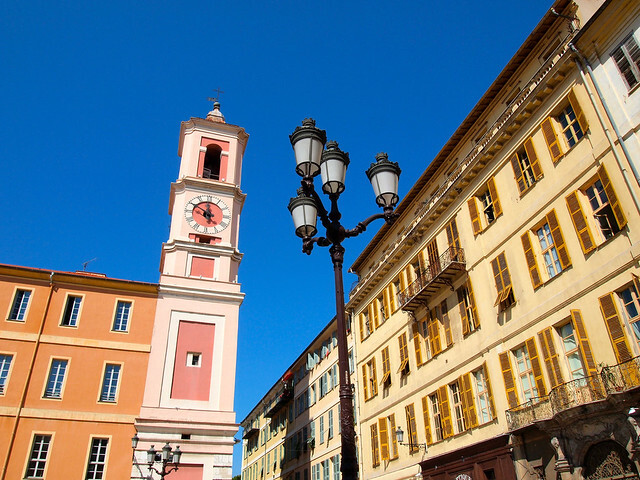 Nice is the largest city of the Côte d'Azur, and is often referred to as “Nice la Belle” — Nice the Beautiful. 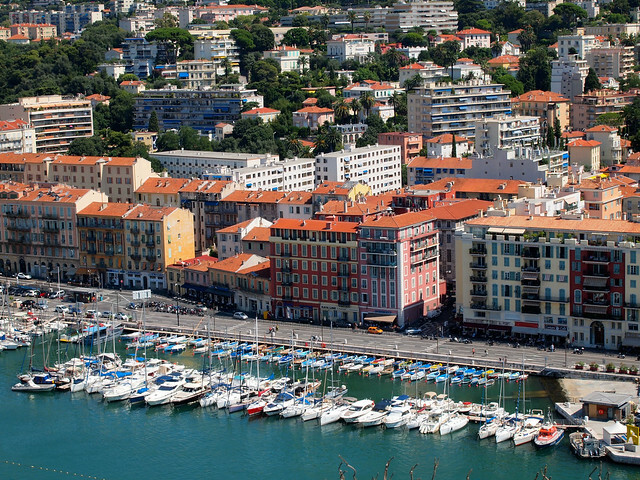 I arrived to Nice by bus and was immediately taken by its bright colors and really attractive harbor. The next morning, I signed up for a free walking tour offered by my hostel (Villa Saint Exupery Beach) that had us exploring the Old Town and having a picnic atop Castle Hill. This last stop took my breath away — it's definitely the must-see view in Nice, and will help you understand why so many people rave about this part of Europe. 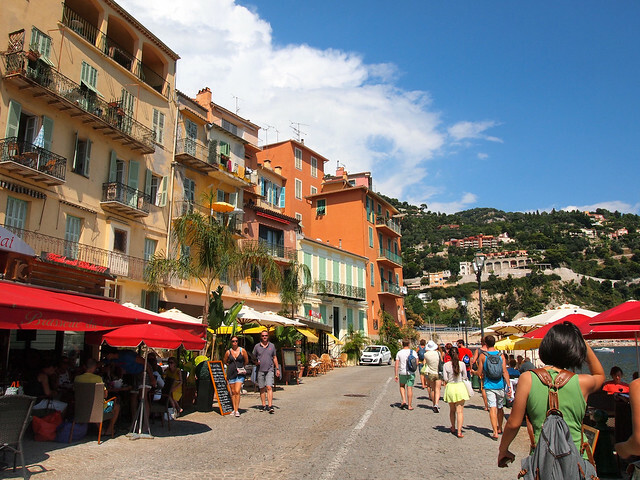 After our hilltop picnic, some of us who had been on the tour headed to Villefranche-sur-Mer — an adorable little town along the Mediterranean coast with an inviting beach. Having traveled for 6 weeks through sweltering hot Europe without so much as one beach to visit, you can bet that I was one of the first ones into the water. This was also the place that made me realize that I'd had it all wrong about the French Riviera up until this point. As the afternoon slipped away at the beach, I made a decision. Since I was only a 30-minute bus ride away from the sovereign city-state of Monaco (and since said bus ride would only cost 1.40 Euro each way), I decided that it would be silly not to go. 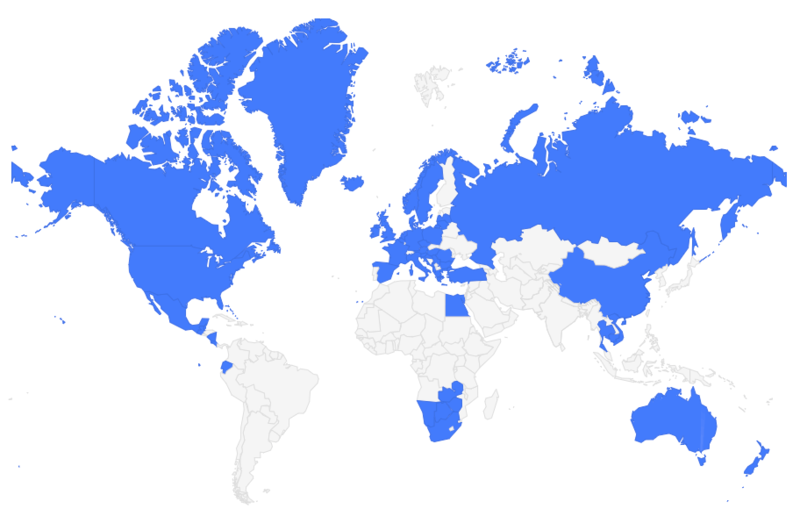 I mean, who doesn't want to visit one of the smallest countries in the world? With an area of less than 1 square mile, I figured it would be easy enough to see most of Monaco in a couple of hours. And it was. 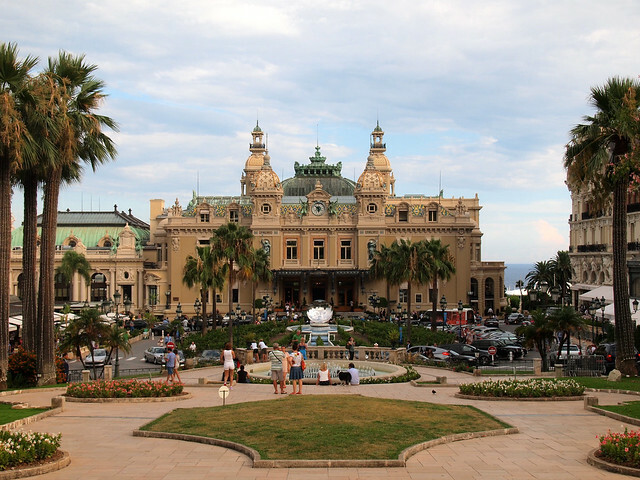 Sure, I felt slightly awkward wandering around the Monte Carlo Casino in my slightly-wet swimsuit cover-up, but it was fascinating at the same time. Never in my life have I seen so many expensive cars, yachts, and stores in one place as I did in Monaco. I only spent one full day in the French Riviera, and I now know that it was not nearly enough time. I'll just have to add this part of the world to my ever-growing “must re-visit” list. 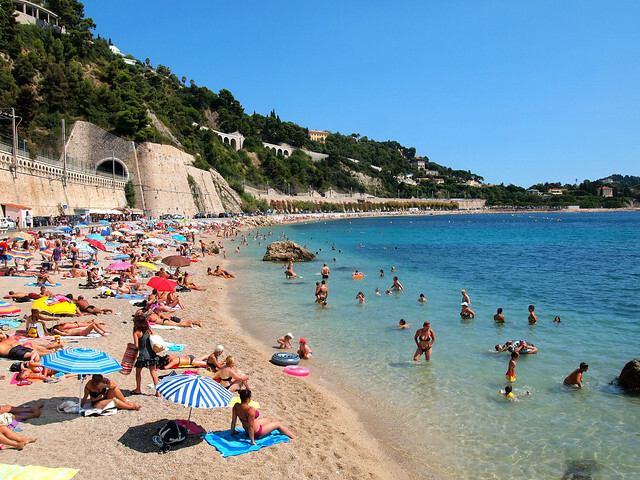 [stextbox id=”info” caption=”Essential Info”]I stayed at Villa Saint Exupery Beach (6 Rue Sacha Guitry in Nice), where dorm bed prices start at around 20 Euro per night and can be up to 45 Euro per night, depending on the size of the room (I paid 42 Euro per night for a 3-bed female dorm). The hostel offers free wifi, free breakfast, and a deal where if you buy a drink in the evening from 7-9 p.m. you get a free bowl of pasta. The hostel also organizes free walking tours (highly recommended!). 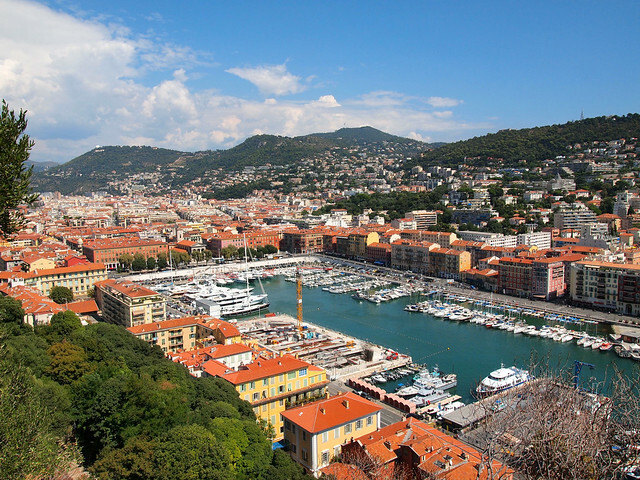 What do YOU think of the French Riviera? Have you been? Do you want to go? *Note: I visited Nice as part of my Busabout trip around Europe. They provided me with transport on all 3 of their Europe loops, but all opinions of the destinations I visit are entirely my own! Thanks! Monaco certainly was over-the-top and interesting! 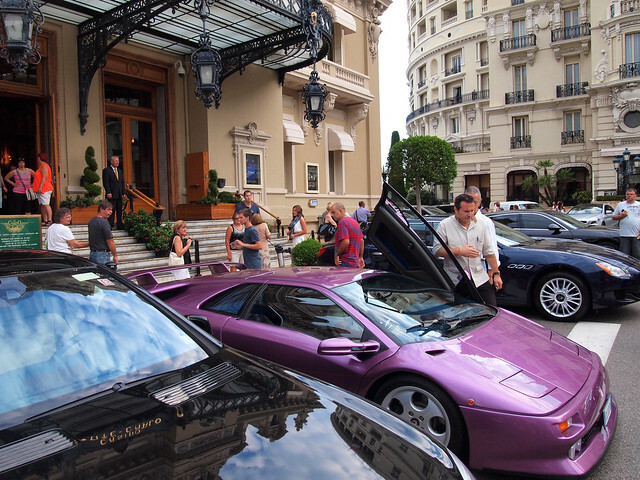 I loved the opulence of Monaco when I visited. I didn’t get enough time in the area either though – I feel your pain! 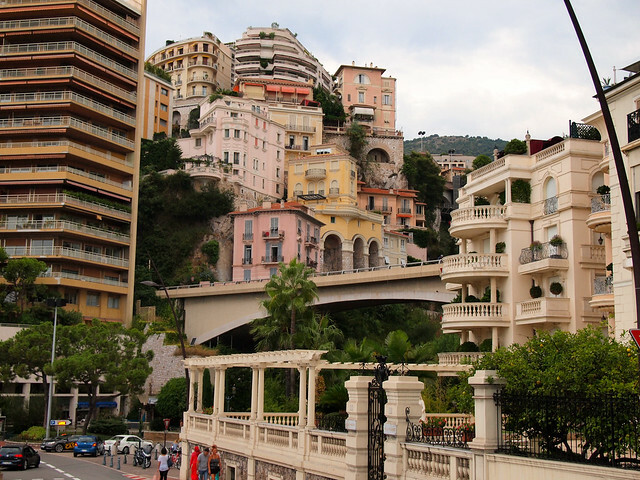 “Opulence” is the perfect word to use to describe Monaco. I felt so out of place there! I just love the French Riviera. If you ever get back, I definitely recommend going to St. Tropez and the beaches near the town. I studied in Aix, which is another place to see if you ever get back to the area. Thanks for the suggestions! I definitely do want to get back there someday. Was the water warm or chilly? It was lovely! Nice and cool – perfect for how hot it was outside. Love the photos! I want to go. I want to go now! It’s a place worth visit, for sure! I want to go back! “It just goes to show that you can’t listen to things other people tell you about destinations.” So true, you just have to go see for yourself. I’m glad you enjoyed your time in Nice and Monaco! As always, gorgeous pictures. I will always be a firm believer in experiencing things for yourself before making judgments about them! I recently visited Marseille and fell in love with it! The vibes there are just amazing so I definitely want to head down to Nice sometime for more of that. I definitely recommend it! And there are plenty of other cities/towns along the coast that I’m told are even better! I agree it’s wrong to go by people’s opinions about a destination. It’s always better to visit and see it for yourself, like you did! Really ‘nice’ pictures! Nice photos! Pun not intended, but Nice is one of my favourite places in the world. Heehee, it’s tough to avoid those puns! Glad to hear that you like Nice, too, though! It was a tad bit hot and sticky when I was there in late August, but the beaches made it for it! Nice and Monaco were 2 stops on the tour of France I did with Top Deck last year. Among the places I visited was a former noble’s residence with a fascinating exhibit of musical instruments dating as far back as the Middle Ages and another about pianos. We did our excursion of Monaco in the evening. Prince Albert II and Princess Charlene weren’t in residence at the time. Oh well! Sounds cool! I would definitely want to spend more time in this area next time. To be fair, I was there in the height of high season. So yes, the beaches were a bit crowded! But, honestly, as someone who doesn’t often go to beaches, this didn’t really bother me at all! I’ve travelled quite a lot in France (like every other middle-class British person, I guess), but I’ve never been to this part. Definitely going on the list, now though! Ok, I admit we didn’t spend any time at all in Nice. 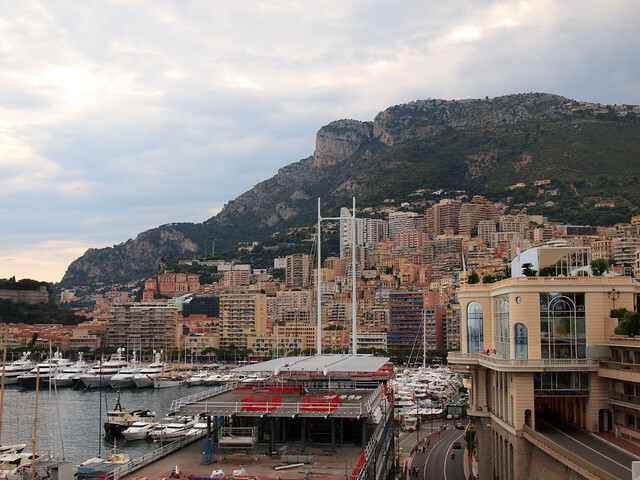 We were on our way from Italy to our timeshare in Provence and we stopped in at Monaco. It leaves you feeling lightheaded as you descend the the mountain. It’s hard to imagine a country so small. When we visited the casino, the exterior of the place was fabulous. The fabulous cars and pretty people just about overwhelm the average person. But when I went inside of the casino, I was frankly disappointed. I suppose I may have been to too many casinos in too many countries, but it was a serious letdown. There were no slot machines I enjoyed playing, and it seemed that the poker tables took up most of the casino. The good news is that is was very pleasant to sit outside at the cafe and watch the people go by. That was my favorite part of the day. The food was good, and the patio was cool and inviting. Surprisingly, I felt right at home there. The waiters weren’t stuffy and highbrow at all, just relaxed and pleasant. I admit there were a lot of crusty upper class society types drinking their lunch there, but at least the food was pleasant. I suppose next time we visit France we’ll have to give Nice a try. It looks fresh and inviting to say the least. I was a little underwhelmed by the inside of the casino, too, though we only went in to look around, not to actually play any games. Then again, I suppose tourists aren’t allowed to see the fancy rooms where the rich and famous play… Glad to hear you enjoyed Monaco, though, on the whole. Haha, I wish!! There were so many people crowding around it to take photos. It probably is too crowded in the summer months. Go during a shoulder season, though, and you might love it! It’s really really pretty. I visited Nice in November a couple of years ago and the weather was gorgeous. I didn’t love Nice itself, but I did find a small treasure in Eze-le-Village. A small village carved into one of the hills overlooking the water. Gorgeous! I heard about that village, but sadly didn’t have enough time to visit myself. Next time though, for sure! There are loads of places along the French Riviera that I’d like to visit now that I know more about them! 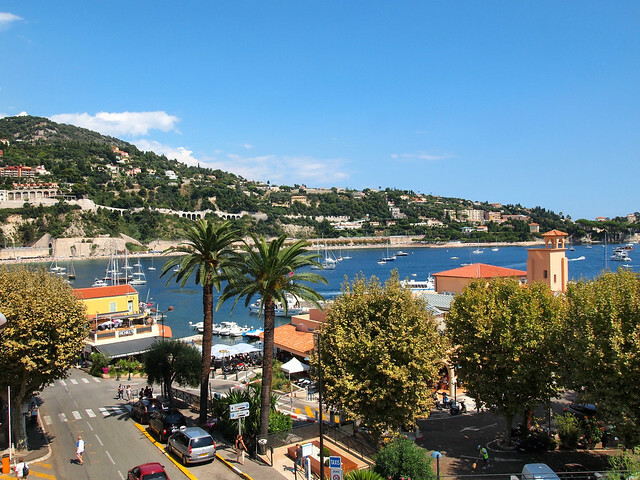 Places like Nice and VIllefranche are incredibly affordable compared to Monaco, or even St-Tropez and Cannes further west. I paid 5 euros for a bottle of water in St-Tropez! Incredibly expensive and not all that interesting. Nice and Villefranche are much more sensible picks. Yikes, 5 Euro for a bottle of water?? That’s insane! Then again, I’ve paid that much at airports, I’m sure… Luckily I didn’t really have to spend any money in Monaco! Wow. I’m out of words. Is that a road going through a house. The houses are so fresh like they get a coat of paint every day and the place is so clean. The beaches are to die for as well. I guess Monaco doesn’t come cheap either. It’s a much prettier place than I ever anticipated finding. But no, Monaco isn’t cheap! I have to say I had a hard time connecting with Nice, but maybe it was because of the fact that we went in autumn when it all seemed kind of subdued..I loved Antibes and Grasse though! We enjoyed the food market in Antibes in particular. It was a riot of color and smells in a beautiful setting of the Old Town — very inspiring mix of cheese, olives, hams, sweets.. you name it! You could taste everything and the traders didn´t look at you as if you were a criminal if you didn´t buy anything. Very enjoyable atmosphere indeed. Yum, Antibes sounds great, too! 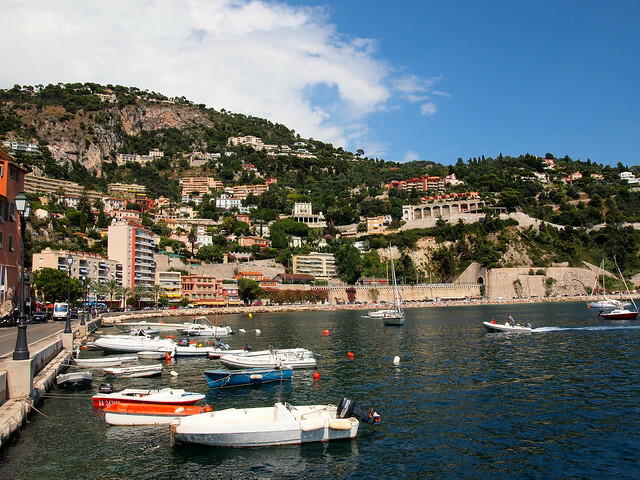 The first time I went to France (roughly 12 years ago), I spent quite a bit of time on the French Riviera. I enjoyed it – why wouldn’t as I as I was on vacation? 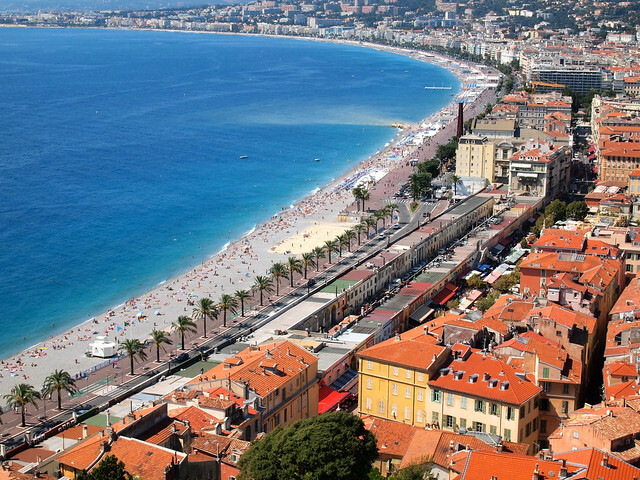 I would like to visit a sandy beach – I once visited Nice, which was nice. But I’m sure I would enjoy the French Riviera again. I agree that it’s a great spot for a vacation! Don’t think I would want (or could afford) to live there, but I would definitely like to visit again! Really, though, I’m sure you’ll have a great time! It’s funny, when I went to Nice and Monaco myself many years ago, I too had lots of pre-conceived notions – I guess I just didn’t really think it’d live up to the hype and kept wondering what the hype was about it – but when I got there, it was all just so beautiful with an amazingly relaxed pace of life and some fabulous ice cream too! I thoroughly enjoyed my time in Cote d’Azur, travelling from Toulon to Sanury-sur-Mer and Bandol. It has such a charm I never saw anywhere else in Europe, so relaxed and laid back. We ate in a little Boulangerie the best quiche and hot dog ever. The colourful boats in the bay, it was delightful. I never got to Nice or Monaco, but there is always next time. I would love to go back and explore more of the Cote d’Azur – I didn’t expect to love it as much as I did! So far we have avoided the Cote D’Azur, because, like you, we have had the impression that it was way out of our league price wise. We do like the south of France, well, all of France really, having visited Uzes, Orange, Nimes, etc. Now, after reading your post, we are going to have to reconsider. Not a bad thing at all. It definitely was way more affordable than I expected. I would highly suggest at least stopping for a few days to explore some of those pretty coastal towns! Awesome! It’s a very beautiful part of Europe. I’m so glad that you enjoyed your stay on the French Riviera! I have the opportunity to live here from 2014 and it’s a heaven on earth ;-). You should come back and visit some hidden treasures in this region of France! Greetings from Nice, T.
I loved this region. Nice, Monaco, St Jean Cap Ferrat!! Need to came back. It’s definitely a beautiful part of France!